Our Nottingham South management team have everything that is required to make sure it’s clients receive the best person centred support and care possible. Emma and Sarah, sisters from Nottinghamshire, have over 20 years in the Health & Social Care sector and 25 years in the HR and Recruitment sector. They will use all of this experience to make the Nottingham South branch provide exceptional support and care services. Emma Peach, our registered care manager, has previously worked as a District Nursing Sister and holds a BSC Hons degree in specialist practice. She is perfectly acquainted in handling complex care needs with large teams of nurses and health care assistants. Emma’s experience is invaluable to running a successful care team which is key to delivering the very best support and care services. Sarah Peach Pitchford, the Managing Director of the Nottingham South branch has worked in management and human resources for 25 years. Her experience in managing 200+ members of staff across multiple branches for global organisations is key to ensuring that our Nottingham South branch provides the most professional Support & Care Workers. We currently have vacancies available for Support and Care Workers. If you would like to join the Nottingham South Respectful Care team, please apply via our recruitment page. We offer a wide range of one-to-one homecare services in Nottingham South tailored to meet your needs. You can receive a home visit from as little as half an hour to 24 hours of care, 7 days a week, 365 days a year. Our team provides homecare services across the whole of South Nottingham, including the areas listed below. If you are not sure if we cover your area please contact us for confirmation. 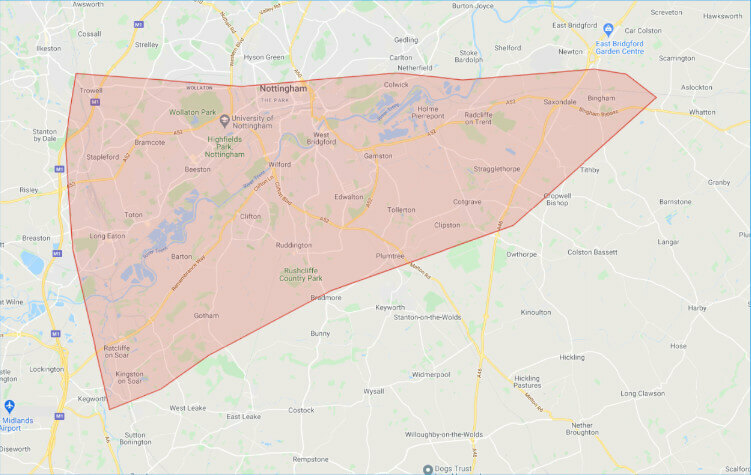 Some of the areas we cover include: Beeston, Bingham, Bramcote, Chilwill, Clifton, Colwick, Cotgrave, Edwalton, Gamston, Gotham, Kingstone-on-Soar, Lenton, Radcliffe-on-Trent, Ruddington, Stapleford, The Meadows, Tollerton, Trowell, West Bridgford and Wilford.